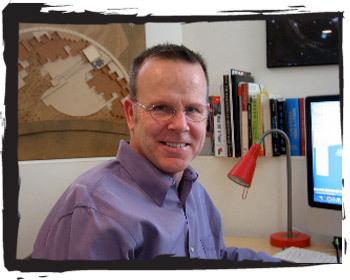 Tim Johnson has 22+ years experience as a registered architect. The focus of Mr. Johnson’s work is environmentally informed architecture and real estate development. Mr. Johnson’s firm has partnered on several residential developments including a recent multi-family project (2010 completion date) that is Energy Star certified. Energy Star qualified homes meet strict energy guidelines established by the Environmental Protection Agency. Other design credentials include many years as a finish carpenter, a furniture maker and a green package designer. Mr. Johnson’s patented hot cup to-go, the Geocup, was recognized by the National Endowment for the Arts for its visionary design (see geocup.com).